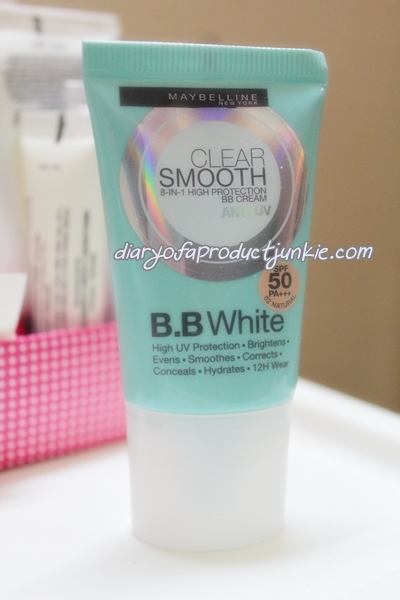 Hello, lovelies~ When I was in Singapore, I bought this BB cream even though I rarely use any BB cream lately. I just can't help myself to buying BB creams, I guess. Plus, I wanted to see the difference compared with the one we have in Jakarta. The packaging is nearly similar to the ones we have in Jakarta. It is in a squeeze tube, but with a light blue color scheme. The size of the squeeze tube is the same as well. I always like the size of Maybelline's BB creams. They're easy to travel with because they don't take up much space in my makeup bag. The BB cream utilizes chemical sunscreen of ethylhexyl methoxycinnamate, which protects the skin against UVA and UVB rays of the sun. It contains Glycerin, which is a humectant, that will draw moisture from the environment. 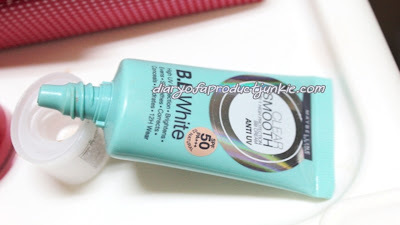 Titanium dioxide is also included in this BB cream. Dimethicone is present to make it easy to blend, probably. This BB cream uses parabens for the preservatives, along with phenoxyethanol. The texture of this BB cream is slightly thick, instead of a runny liquid. 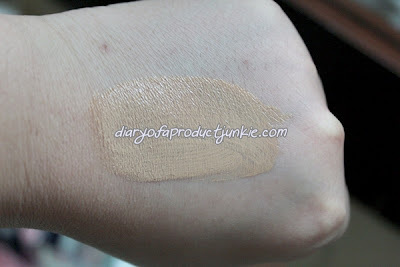 I got the shade 02 Natural because the other shade is way too light for me. I'm not that comfortable if I use that light of a foundation or base, so I opted for the second shade. It doesn't emit funny or weird scents, it's just typical creamy, subtle chemical scent. Applying this BB cream on my face is one of the easiest thing aside from breathing. There aren't any difficulties in blending the BB cream evenly all over my face. I just dot a sheer small circle on my forehead, cheeks, nose and chin before blending them all over my face. 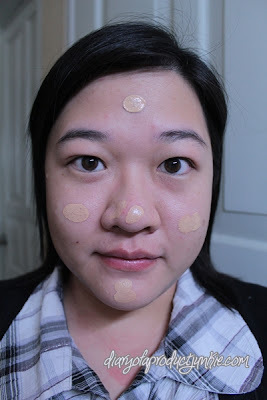 It has an in between sheer and medium coverage, unable to cover my sun spot, but able to neutralize and minimize redness on my cheeks particularly. It slightly covers my blemishes or acne scars, but not up to a point that it is flawless-looking. 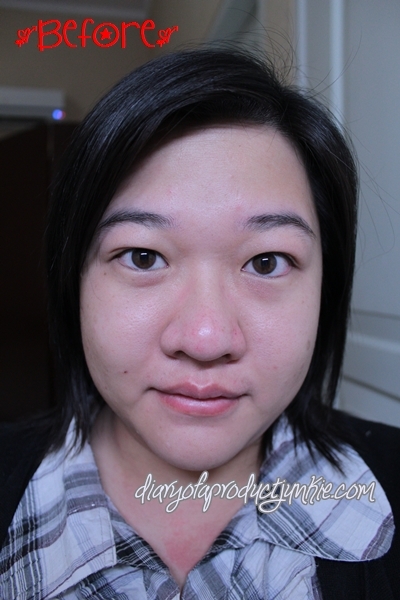 As seen in the 'After' picture, it has a semi-matte (satin) finish, which is in between dewy and matte. 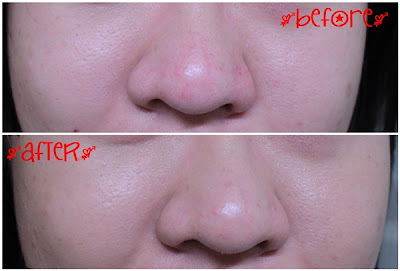 The longevity of this BB cream is said to hold up to 12 hours, which means that it will stay for 12 hours on said face. It stayed on for around 3 hours before it started to disappear on my face. To be fair, I was going for an outdoor event that day and the sun was blazing hot, so I do sweat. A lot. Maybe that's what caused it to 'melt' rather quickly. If I were to stay at the office (indoors), this would usually last for around 5 hours on my face. It didn't have a good oil control on my face, it was only around 2 hours until I looked greasy. 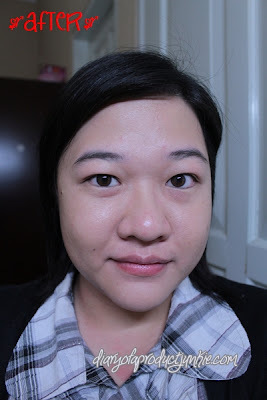 Overall, I liked this BB cream for everyday use because it felt lightweight on my face and doesn't look cakey. IT also has SPF 50/PA+++, so it is sufficient for everyday use in terms of sunscreen. However, it does have a poor oil control, so I have to blot every hour or so to prevent looking shiny. Personally, I would repurchase this if I were to run out of it.